Best-of-one Magic is in a weird place. 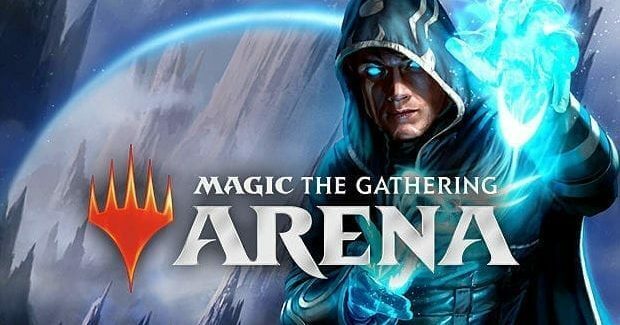 Last we knew, it was—by far—the most commonly played format on Magic Arena, but we have very few published deck lists for the format since pretty much all of the deck lists that end up in public come from Magic Online and paper events. As such, this weekend's Mythic Invitational is a pretty big deal for best-of-one players everywhere since it gives us a wealth of best-of-one-specific lists to look at and analyze for the first time. Today, we're going to delve into the best-of-one metagame from the Mythic Invitational, looking both at which decks are popular in the format and how these decks differ from their best-of-three counterparts. Before jumping into it, one caveat: the Mythic Invitational was Duo Standard, which is part of the best-of-one family but slightly different since it requires each player to bring two best-of-one decks and then matches them together at random for the first two games of the match. As a result, it's really hard to determine which decks are best thanks to the variance of the format and the extremely small sample size. Because of this, rather than trying to declare one deck better than the others, we're going to focus more on the metagame and the decks themselves. Let's kick things off with a look at the metagame from the Mythic Invitational. You can see all of the decklists here and congratulations to Andrea Mengucci for ultimately taking down the entire event and becoming the first Mythic Invitiational Champion. So what do these numbers tell us about the best-of-one metagame? In some ways, not very much, and in other ways, a ton. Because of the Duo Standard format, it's unlikely that these numbers will transfer to the Magic Arena ladder (most players decided that the best choice for the Duo Standard format was to play one extremely aggressive deck and one extremely controlling deck, which gives players maximum flexibility if they go to a third game and get to choose their deck). 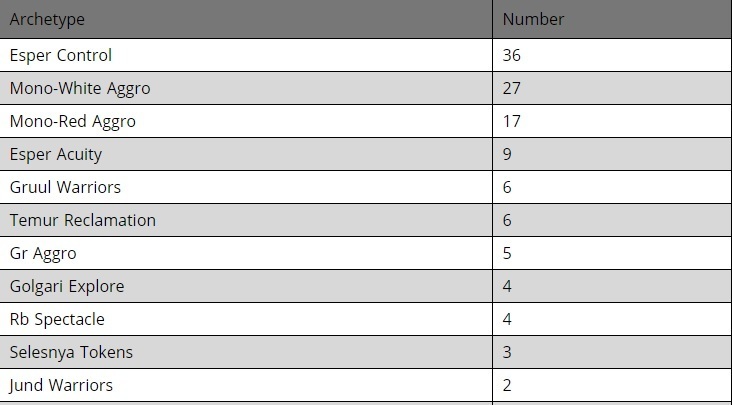 On the other hand, from a more broad-stroke perspective, the popular decks at the Mythic Invitational mostly lined up with players' subjective experiences on the Arena ladder, with the "big three" of Esper Control, Mono-White, and Mono-Red Aggro being the most popular decks in the best-of-one format. In fact, over 60% of the decks at the Mythic Invitational were one of these three, and I wouldn't be surprised to find that your best-of-one laddering experience (especially at the higher ranks) more or less matches this percentage. After the big three decks is a big drop-off to Esper Acuity, which possible should be included with Esper Control since they are certainly part of the same family, even if they aren't exactly the same deck. While Esper Acuity is a deck you'll find on the ladder, it's likely that the rules of the Mythic Invitational were part of the reason why 7% of the field was Esper Acuity. At the Mythic Invitational, if a match ran out of time, the winner was whichever player had the higher life total. Esper Acuity is the perfect deck to win in this manner since it keeps your life total high by repeatedly playing Dovin's Acuity but doesn't close out the game quickly. It's often been argued that best-of-one and best-of-three are basically completely different formats, even though both are technically Standard. Well, the difference between the Mythic Invitational (best-of-one meta) and the Mythic Championship (best-of-three meta) basically proves this theory. Let's take a look at the differences with the help of a handy chart. These numbers are pretty stunning. The two most played decks at the last (best-of-three) Mythic Championship were basically not decks at the Mythic Invitational (although one was because Nexus of Fate is banned in the format), in Simic Nexus and Sultai Midrange. 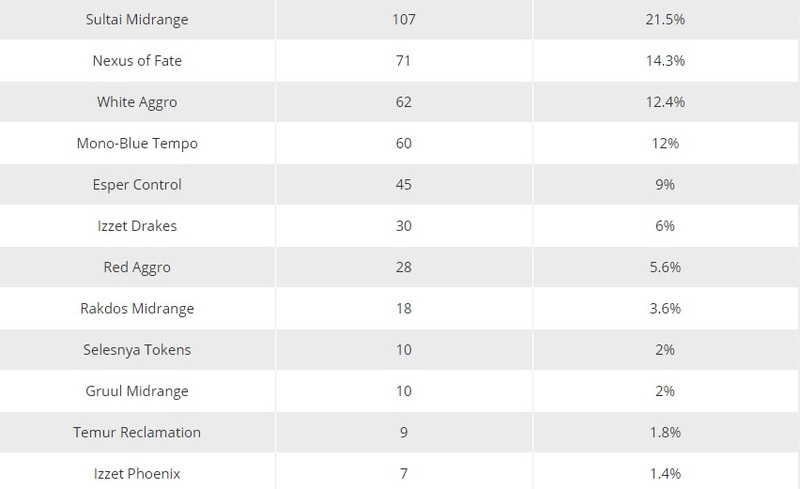 And if you scale out to the top six most played decks at the last Mythic Championship, 66.7% are essentially not present in the best-of-one meta at the Mythic Invitational, with Mono-Blue Aggro having a single player and Izzet Phoenix / Drakes not being played at all. Meanwhile, the best-of-one format has one heavily played unique deck that wasn't a part of the last big best-of-three event: Esper Acuity. Basically, if you want to break this down into an easy-to-understand manner, the best-of-one format (at least, at this point) is about going to the extremes on either end of the format. You either want to fully commit to being as controlling as possible (with Esper Control or Acuity) or fully commit to being as aggressive as possible (with Mono-White or Mono-Red). What you don't want to do is end up in the middle with a deck like Sultai Midrange or Izzet Drakes. Maybe the clearest way to see this is by looking at the number of lands played in Mythic Invitational decks. There's a huge group of decks with 26 lands (the control end of the spectrum) and a huge group with 20 or fewer lands (the aggro end of the spectrum) but almost no decks in between. So why are decks like Sultai Midrange and Izzet Drakes extremely popular in best-of-three but arguably (based on the Mythic Invitational) unplayable in best-of-one? The answer here is the sideboard. Take Sultai Midrange, for example. I've played a lot of the deck on the (best-of-three) Arena ladder. It's a deck that is probably slightly disfavored (and in some cases, slightly favored) against most of the popular decks in the field in game one. On the other hand, its sideboard gives it the tools—cheap black removal for aggro, planeswalkers and discard for control—so that after sideboarding, it has a favorable matchup against most of the decks in Standard in games two and three. In best-of-one, a deck list Sultai Midrange loses almost all of its appeal since you don't get to be disfavored in game one but still be favored to win the match because game one is that all that matters, so you're actually just a (slight) underdog to most of the field. 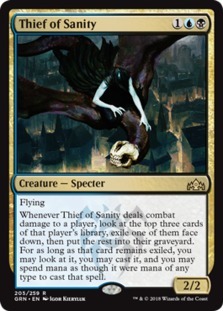 This same thought process in reverse explains why Esper Acuity was one of the most popular decks in best-of-one at the Mythic Invitational while being completely missing from best-of-three play. 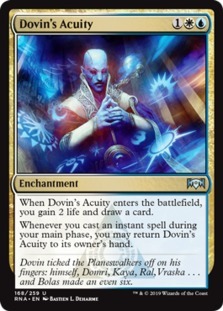 The plan of repeatedly using Dovin's Acuity as a card-draw engine to gain a bunch of life is a great way to jank out aggressive decks without enchantment removal. 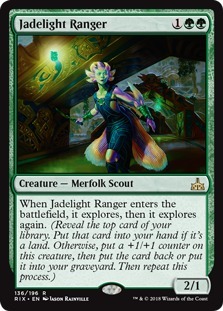 But in best-of-three, most decks will have answers to your plan after sideboarding. Mono-White Aggro will bring in counters (since in best-of-three, it's actually Azorius) and enchantment removal; slower, more controlling and midrange decks will bring in a bunch of discard; and suddenly, your deck will get much, much worse. The main takeaway here is that best-of-one and best-of-three are completely different formats—the Mythic Invitational proved as much. This isn't to say one is objectively better or worse than the other, but if you're going to play the best-of-one ladder, you're going to want to avoid jumping into the tournament with a random best-of-three deck. There just isn't enough overlap for this to be a good strategy in most cases, and even the decks that exist in both best-of-one and best-of-three have some striking differences, which we'll talk about next. Esper Control in best-of-one is actually quite similar to Esper Control in best-of-three, with one huge exception: Mastermind's Acquisition. The combo tutor / wish is basically unplayed in best-of-three. Why is Mastermind's Acquisition a best-of-one staple? The answer here is that it allows you to cheat on the rules of the format a bit. While best-of-one Magic doesn't allow you to sideboard between games, it's perfectly legal to have a sideboard thanks to Mastermind's Acquisition's ability to tutor a card from it. As such, Mastermind's Acquisition in Esper Control allows players to access a bunch of conditional effects that would otherwise be impossible to play in the best-of-one format, like Demystify, Unmoored Ego, and Ethereal Absolution. While the card isn't all that efficient, which is why it doesn't really show up in the best-of-three versions of Esper Control, the flexibility is huge in the best-of-one format. Perhaps the most interesting part of all of this is how Mastermind's Acquisition's presence in Esper Control actually makes it correct for many other decks to include a sideboard. 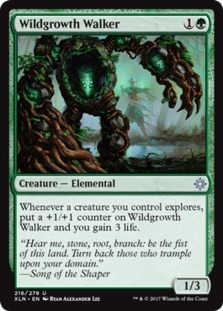 Take Temur Reclamation, for example. 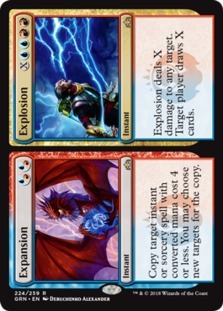 Because the deck can theoretically use Expansion // Explosion to copy its opponent's Mastermind's Acquisition, it plays a sideboard just in case. Going even deeper, if you're playing cards like Thief of Sanity, Entrancing Melody, or Dire Fleet Daredevil, it's theoretically possible that you will end up in a situation where you're casting your opponent's Mastermind's Acquisition, which means you should throw some cards into your sideboard just in case. Considering how popular Esper Control (with Mastermind's Acquisition) is in the best-of-one format, you should have a sideboard if there's any chance at all that you will end up casting your opponent's Mastermind's Acquisition. There's quite literally no drawback or downside of including one with your deck, even if there's only a 1% chance you end up using it. Key Differences: Truly Mono-White, More One-Drops, Less Removal, Unbreakable Formation. 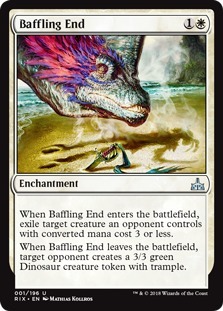 Let's start off with the biggest difference between White Aggro in best-of-one and best-of-three: in best-of-three, it's almost always right to splash for a second color to access counterspells in the sideboard. In best-of-one, since there are no sideboarded games, it's pretty much always right to be straight mono-white, which makes your deck more consistent and avoids any problems with the mana base, since there are no sideboarded games anyway. 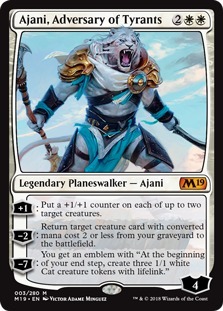 Otherwise, best-of-one White Aggro is lower to the ground than the best-of-three versions, with most decks adding in two extra one-drops (most often Rustwing Falcon) and dropping cards like Ajani, Adversary of Tyrants and Baffling End. 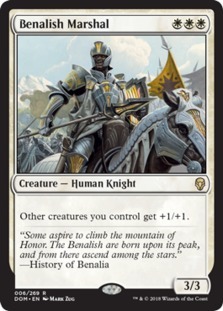 As we talked about before, best-of-one rewards you for going to the extreme, so if you are going to play White Aggro, your goal should be to make your deck as aggressive as possible and kill your opponent as quickly as possible, which means grindy options like Ajani, Adversary of Tyrants lose some utility. 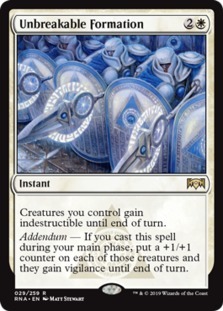 Finally, the key card of best-of-one White Weenie that isn't present in best-of-three is Unbreakable Formation, with most of the Mythic Invitational decks playing somewhere between two and three copies. 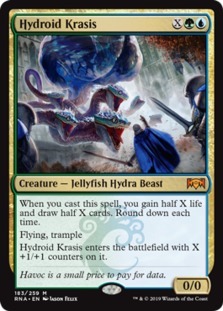 In some ways, the three-mana instant is built for the best-of-one meta, allowing White Weenie to break the mirror by buffing their creatures while also being helpful against control, saving the team from a Kaya's Wrath. If you're looking for a deck that can compete in both best-of-one and best-of-three on Magic Arena, Mono-Red Aggro is likely the way to go. There are surprisingly few differences between the best-of-one and best-of-three versions of the deck. 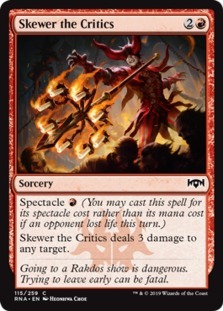 While there are some disagreements on the number of Experimental Frenzy a deck should play and players play between zero and four copies of Skewer the Critics, the best-of-three and best-of-one versions of Mono-Red Aggro are within a couple of cards of each other, making it the perfect deck to craft if you are looking to play both versions of Standard. 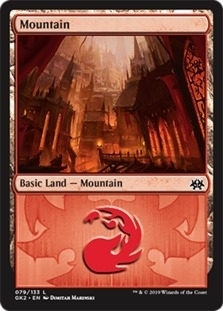 This being said, we do see one huge disagreement between the Mythic Invitational builds of Mono-Red Aggro: some decks play 19 Mountains and four copies of Experimental Frenzy, while other builds play only 17 Mountains, zero copies of Experimental Frenzy, and more burn spells (primarily Skewer the Critics but also Risk Factor). Thanks to the weirdness of the Duo Standard format, it's pretty much impossible to tell statistically which build is better—players managed to advance and make the Top 16 with both builds. Since Esper Acuity is a best-of-one-only deck, we don't really have a way to compare it to a best-of-three deck. Instead, we'll talk about how Esper Acuity compares to the more traditional build of Esper Control. As we talked about before, part of the reason why Esper Acuity was a popular choice for the Mythic Invitational was the tie-breaker rules that give the player with the highest life total the win if the match runs out of time, although Esper Acuity is a real best-of-one deck that you will run into from time to time on the Arena ladder. So why would you play Esper Acuity over traditional Esper Control? The biggest answer here is that Dovin's Acuity itself (along with more copies of additional lifegain spells like Revitalize) makes the deck better against the aggro decks in the format (especially Mono-Red Aggro, which is an absurdly good matchup for Esper Acuity). 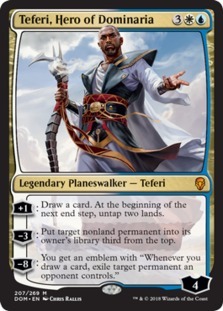 But this power comes at the cost of being worse than traditional Esper Control in the control mirror since Teferi, Hero of Dominaria is the single best card in all of Standard if you end up in a control vs. control battle. Moving forward, I'd be a bit skeptical of Esper Acuity on the ladder for two reasons. First, there's no tie-breaker rule to take advantage of, which means you'll get stuck in some really long, slogging games without an easy, fast way to finish off the opponent. Second, traditional Esper Control was—by far—the most popular deck at the Mythic Invitational, and if the Mythic Invitational has an impact similar to the impact a Mythic Championship has on best-of-three (basically setting the metagame for the next weeks or even months), it seems that Esper Acuity's bad matchups are going to be even more popular on the ladder. While I wouldn't call the deck unplayable, my guess is it's a significantly worse option for playing on the ladder than it was for the Mythic Invitational. 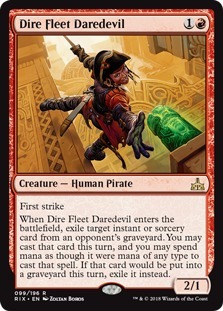 Though if you run into a string of Mono-Red, it's a deck worth keeping in mind to jank out some free wins in the right matchups. First off, let me say that Gruul Warriors is a horrible deck name. 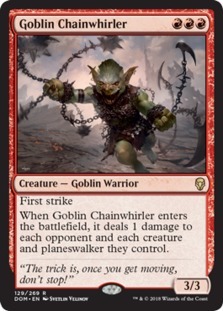 Apparently, having Goblin Chainwhirler and Gruul Spellbreaker makes a deck "Warriors." 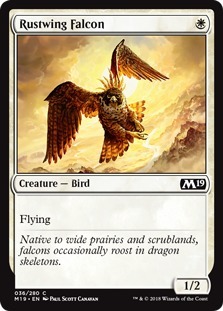 Even worse, the name is used to describe basically all of the Gruul decks in the field, ranging from 19-land aggro decks that look like Mono-Red Aggro splashing for Gruul Spellbreaker and Zhur-Taa Goblin to 24-land midrange decks with a bunch of Rekindling Phoenix and Skarrgan Hellkites. As such, it's not really practical to compare the deck to its best-of-three counterpart. Furthermore, neither version of Gruul Warriors seemed to perform especially well at the Mythic Invitational (although again, the Duo Standard format makes it difficult to say with certainty). Regardless, it's worth mentioning because it was a semi-popular deck at the event, and the fact that several players decided to play it at the invitational is noteworthy. Similar to Mono-Red Aggro, Temur Reclamation is pretty much the same deck in both best-of-one and best-of-three, with the idea being to play the control role in the early game before using Wilderness Reclamation to double up its mana and cast massive, game-ending Expansion // Explosions on the end step to kill the opponent. While the deck is clearly in the second tier for both best-of-one and best-of-three Standard, the biggest upside is that you can essentially play the same exact build in both formats without making many (or even any) updates. After three days of gameplay through two double-elimination brackets, the Top 8 decks (from the Top 4 players, with two decks for each) from the Mythic Championship were three Esper Control, two Mono-Red Aggro, two Mono-White Aggro, and one Mono-Blue Tempo. As far as deck pairings, we had two Esper Control plus Mono-White Aggro, one Esper Control plus Mono-Red Aggro, and one Mono-Red Aggro plus Mono-Blue Tempo. By far the biggest surprise here was Mono-Blue Tempo, a deck that only a single player brought to the tournament. While it's hard to think of it as a true rogue deck considering it just dominated the last Mythic Championship, seeing it make its way to the final day of a best-of-one tournament is a bit surprising. The biggest upside of the deck is that it has a very good matchup against Esper Control, which was by far the most played deck at the Mythic Invitational. Moving forward on the ladder, it probably isn't a great primary option. But considering how few wildcards it takes to put the deck together, it does seem like a good second or third deck to pull out once you hit the higher ranks and end up playing against Esper Control a bunch of times in a row—something that will happen even more often in coming weeks as players pick up Esper as a result of its Mythic Invitational performance. One of the sweet benefits of the Mythic Invitational is that Wizards gave out some new Magic Arena codes unlocking some of the new card styles for free! Meanwhile, if you're new to Arena, a couple of older codes from past set releases—PlayRavnica and PlayAllegiance—will snag you some free booster packs to help grow your collection. If you're a Magic Arena player, make sure to enter them in the store tab for some free value! 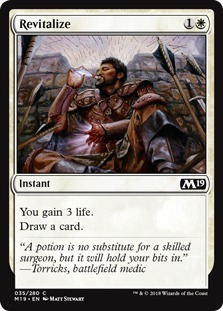 If the Mythic Invitational whet your appetite for more Magic Arena content, we've got you covered here on MTGGoldfish. Mythic Invitational competitor Crim (aka TheAsianAvenger) makes Fish 5-0 every Friday, showing off a Standard deck that recently performed well in a tournament, while publishing Budget Arena videos that have sweet decks that don't cost too many wildcards on Wednesdays. 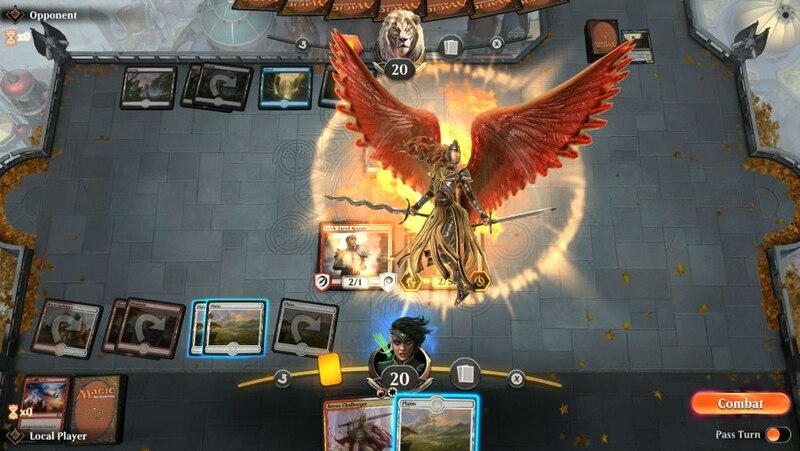 Meanwhile, you can find even more Magic Arena action on Goldfish Gladiators, which focuses on spicy, off-the-wall brews, and on the live Twitch stream (which plays a mixture of Magic Arena and Magic Online) on Mondays at 2 PM EST and Tuesday / Thursday at 6 PM EST. Anyway, that's all for today. The Mythic Invitational was quite a show and a wealth of knowledge about the best-of-one format! Which deck do you want to play the most on the Arena ladder? Let me know in the comments! As always, leave your thoughts, ideas, opinions, and suggestions, and you can reach me on Twitter @SaffronOlive or at SaffronOlive@MTGGoldfish.com.